Every girl/woman has her own brand the one she always come backs to every season. That's her brand. She's a VIP in all the main boutiques and her stuff are sent directly to her hotel/home address with no fuss. I am a Lanvin. 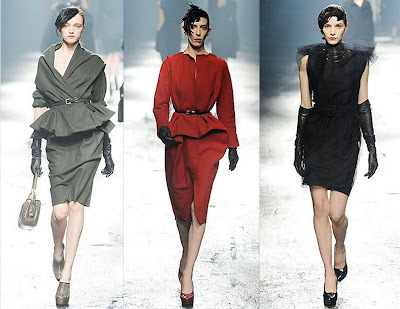 The Fall/Winter 09 is spectacular!So 1940s! Sadly it is not all available in the boutique and can be bought from various online stores.